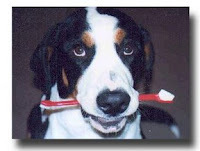 I have heard about this a little, but there is really a significant business in treating dental problems of animals. Kind of surprising! 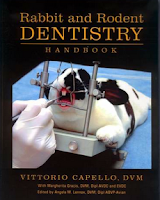 Some veterinary practices are specializing in dentistry for dogs and cats and other various animals. There are two links at the bottom to some of these. Love the tiger video, great stuff! Hi Dr. Brandon. I had a few questions for you. Our 10 month old son went to the dentist yesterday and he said that his top two central incisors were decayed and the other 6 incisors had white spots on them. He now has to get crowns on those two teeth. We took him in because his right central incisor on the top erupted with a small "chip" which I believe to be enamel hypoplasia (though the dentist never mentioned the possibility). The "chip" now follows down the side of his tooth in a line and then goes across the bottom of his tooth (where it looks as if the dentin may be exposed). It doesn't really look very discolored (though the doctor calls it a "brown" spot). The truth is that these teeth don't look all that bad - he even said that if he were not an infant, that he would have suggested filling them instead. One question I had is how long can we wait to cap his teeth - I think it would be better and more pleasant for our son if we could wait until the teeth emerge a little more. How soon does it start to lead to pain (hit the nerve, and then abscess?)? Secondly, is there a way to find out the cause of his caries? I know it could be the cariogenic bacteria, but the dentist also said it could have been due to his acid reflux (the acids in his frequent vomit and spitting up damaging his teeth). Third, are there other alternatives? Or can we even put an all white porcelain crown rather than the metal ones? I know that the metal ones are more durable, but after all, these are front teeth and not molars that are used for frequent biting. Should we get a second opinion first? Is the dentist just taking precautions where there are no real issues yet or should we do this immediately? Thanks for your help. We are heart broken our very young son has to go through this. Decay will progress with time getting worse and worse. I have seen seemingly small cavities progress to something much worse in only 6 months. It's always ok to get a second opinion. I would suggest you read some of my posts on white crowns, decay, etc. I have a lot of stuff here that may help. However, consult your dentist as far as actual treatment recommendations. My new book is now available. Click the photo to view it on Amazon. Hardcover & Kindle version available. 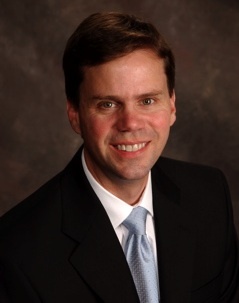 Pediatric Dentist, Past President-Huntsville Madison County Dental Society, Former Chief of Dentistry-Huntsville Hospital, Adjunct Assistant Professor- Univ. of Alabama School of Dentistry, In practice for over 20 years with Alabama Pediatric Dental Associates and Orthodontics, Blogger, Author. I am available for certain speaking engagements. Topics may include Pediatric Dentistry (obviously), Social Media and Blogging, Practice Management and Business Development, Practice Transitions, and others. Yes, usually there would be a fee, especially if I have to travel or take time off my regular schedule. If you are interested, contact me at our office, via Twitter, Facebook or on this blog. When will my child loose their first tooth? The Cost Of Braces Going Up? Social Media, Everyone Is Doing It? What Is Your Favorite Toothpaste? 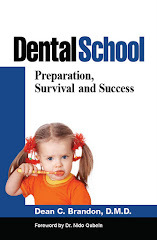 Dental School: My New Book Is Now Available! How Hard Is It To Get Into Dental School? Apollo 13, a "Successful Failure"
Sugar Substitutes, Better For Your Teeth? Chewing Gum, Good or Bad? 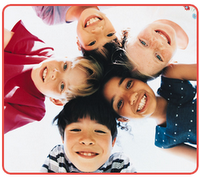 Is Your Child's Dentist a Pediatric Specialist? Why Do Doctors Have Such Bad Handwriting? New Madison Office Tour Video! Is there a higher caries risk from lost sealants? Why Does Dentistry Cost So Much? Our New Digital X-Ray Machine! Which Toothbrush is the Best? Can a Tooth get a Cavity Before it Erupts? Don't Bite Your Numb Lip! Dental Insurance-Part 1: A Good Idea? They Are Just Baby Teeth, Why Fix Them? DMD or DDS, What's The Difference? Spouses Working in the Dental Office? What is the Salary of a Dentist? Wow, it smells like a dental office in here! Dental School, How to Become a Dentist, etc. My Child's Tooth is Turning Dark! A Rubber Dam-What is That? After hours on call--the pager! What’s the tooth fairy’s going rate for baby teeth? When is the Best Time to Start Braces? Disclaimer and a note on images, etc. How do you become a Pediatric Dentist or Orthodontist? Pediatric Dentistry is copyrighted. If you wish to reprint or use any of the posts or content printed here, you must contact the author Dr. Dean Brandon for specific written permission.